Is there a better alternative to EZip? Is EZip really the best app in File Management category? Will EZip work good on macOS 10.13.4? 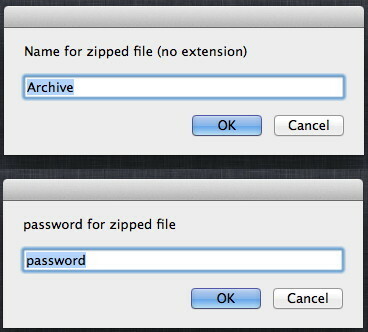 EZip creates password-protected zip archives from files or folders. Just drag a file or folder onto EZip and enter a file name and password to protect it. That's it, you're done. This is an AppleScript I wrote and exported as an application. It's free and it works. EZip needs a rating. Be the first to rate this app and get the discussion started!